Symbol: 血液 The symbol for blood. Clan History: The tales of the clan's history state that around the time of the 2nd Kage Meeting, an unknown enemy brought down a curse upon the clan's founders, turning their blood into weapons that they would be forced to spill their own blood to have any hope of surviving as a clan. This was of course never proven, but the blood jutsu of the clan remain, though the public and most of the village do not know of this. Few even know of the Kyuuzaki clan, except in Konoha, where they are seen as the neighbours who don't converse much. Despite this curse's nature, they have prospered, though it has at some points been argued that it is more of a blessing than a curse. However, it has been decided that the usage of blood jutsu is last resort only, for no matter if their blood is a weapon to them, they are ninjas and will act as such. Their loyalty is to the clan and village, not to this thus far unknown enemy that brought this curse upon them. Strangely enough their clan symbol was always the same, even before this curse afflicted them. Nobody knows if the symbol and the curse are related. Clan Weakness: Relies a lot on Blood Increasing Pills against powerful opponents. Until trained, usage of clan powers causes great pain. Clan Location: Konoha Hidden Village. Clan Jobs: Shinobi, Samurai and Diplomat. Clan Pros: Uses blood to fuel techiques, decreasing the amount of chakra required for them. Is capable of manipulating their blood in various ways (These techniques cost no chakra but are very expensive in terms of blood usage). Clan Cons: Relies on Blood Increasing Pills to replenish their blood reserves after tough battles. Cannot manipulate the blood of others unless mixed in with the user's own. Almost every clan technique is able to be classified as forbidden techniques due to the harm they can cause to the user. Missing-nin of the clan are able to be easily tracked due to their blood signature. Increase: +1% for 250 words while using techniques laced with your blood. o%: You can use your blood to fuel your jutsu, though you gain no benefit from it. Jutsu costs an extra 5% with that additional cost being taken out of your stamina. In addition, your chakra will appear red to those who can see chakra while you use jutsus. 1o%: You can use your blood to reduce the cost of jutsus by up to 10%, taking the amount it is reduced by out of your stamina. This means that you reduce the chakra cost of the jutsu, but the amount that is reduced is taken out of your stamina instead. 2o%: You learn how to seal open wounds by forcing your blood to clot rapidly. After a few turns (Depending on the size of the wound in question), you can close wounds that you have gained, either self-inflicted or otherwise, giving it the same effect as bandaging a wound. The amount of dmg suffer = the amount of chakra needed to seal wound. See Advanced Dmg chart. 3o%: The clan has deemed you worthy of learning the ability to learn how to use your blood as a weapon. Learn the Ketsueki Kajiya clan jutsu. 4o%: You can use your blood to reduce the cost of jutsus by up to 20%, taking the amount it is reduced by out of your stamina. 5o%: You learn how to seal even deep wounds. Upon sealing a Stab wound, you can seal the wound again after waiting for the same time you had to wait to seal the wound the first time to seal it completely, stopping any further bleeding. This means you do not have to seek the aid of a medical ninjutsu to heal deep wounds. Example: You suffer a Stab wound and lose stamina each turn for 3 turns. After 3 turns you seal the wound and the amount of stamina lost is reduced. After 3 more turns you seal the deep wound and you no longer lose stamina from that wound. The amount of dmg suffer = the amount of chakra needed to seal wound. See Advanced Dmg chart. 6o%: You can use your blood to reduce the cost of jutsus by up to 30%, taking the amount it is reduced by out of your stamina. 7o%: Your blood and chakra affinity are as one. Create 1 Elemental Release technique that uses your blood. 8o%: You've learned how to efficiently use your blood to create weaponry. The blood cost for making weapons is halved. 9o%: Can use your blood to reduce the chakra cost of jutsus by up to 50%, with the stamina cost being 25% of the chakra required. 1oo%: Your mastery of blood manipulation is equal to the most powerful of your clan. Create a jutsu utilizing up to 1 gallon of your blood (Equal to an S-rank technique). Description: The user wills their blood to burst forth and take the shape of a desired weapon, giving it the same strength and flexibility of the actual weapon. Effect: Creates a weapon out of the user's blood, depending on their wishes for a weapon. - Blood Shuriken: Creates a shuriken. - Blood Kunai: Creates a kunai. - Blood Sword: Creates a sword. - Blood Hammer: Creates a 2-handed hammer. Notes: Depending on the weapon created, these weapons may cause Stab wounds. Length: Until the user no longer wills the weapon to exist or thrown blood weapon hits a target. Drain: Stamina drain depending on weapon. - Blood Shuriken: 5 stamina. - Blood Kunai: 10 stamina. - Blood Sword: 40 stamina. - Blood Hammer: 100 stamina. I accept these changes! Thank you. You don't have to respond to my "Accepted with changes" by saying you accept them. When I say accepted with changes that's it. There is no accepting or deny what changes I made. It's final. So please stop it with the I accept these changes responses. It makes no difference. Once my decision is made, it's final. The only thing you can do it completely take it off the site and request that I don't add it to the custom's section for the site. Appearance: An old man, with white and grey hair and beard. Aged and wrinkled skin hangs slightly loose upon his well maintained musccular arms and legs, hinting that they used to be larger. He's blind in one eye, a trait marked by one of his eyes being grey in color while the other good eye is a bright blue. Personality: Patient yet stern, Ranzaki lives in isolation and generally likes the peace it brings him. A very independant man who believes strongly in the ideology that one must help themselves and work for themselves to ever truly accomplish something. If it can't be done by their own hand, then it's usually not worth doing. He's also a man with little sympathy. History: Ranzaki has walked the earth for many years, and he used to be a promising young shinobi. He'd been particularly profficient as a Genin, and breezed through the exams to become a Chunin. But before Ranzaki ever progressed further, his team was wiped out on a mission. When Ranzaki found out that the mission was actually a setup for a different ninja team, and his team had simply been wiped out for being in the wrong place at the wrong time, Ranzaki decided to leave the villages and the politics that surrounded them behind in favor of a life on his own. Clan History: The Miniki Clan had always been a closely guarded secret by its members who do what they can to hide their strange techniques and appearances. Not recognized or officially affiliated with any village, the Miniki clan faced the constant danger of it’s members being hunted as if they were missing-nin until the last one was killed in a staged mission. The clan’s secrets and abilities however survive, recorded on hidden scrolls throughout the world that the dying clan members strove to hide in their final days. -Able to replenish chakra from biting and draining/consuming it at a rate of (20 in human form; 50 in Vampiric Form Rank 1; 100 in Vampiric Form Rank 2) per post after the bite is established and maintained. 5 in the initial post where the bite was made. -Regain chakra only when biting and at half rate during the night. -5 point Chakra and Stamina drain during the day. -Urge to drink when chakra is low. o5%: May perform the ritual to become a Chakra Eater. (gain dormant vampiric form curse seal after ritual) Chakra control begins to sharpen, gain small fangs that easily pierce skin and thin cloth. 1o%: May grow their fangs outwards while still in their human form. 2o%: Mastery over the vampiric form begins, gain access to the Vampiric Form Rank 1. 3o%: Chakra control increases, fangs elongate and sharpen to where they can now pierce leather. 5 points to distribute among stats. 4o%: Mastery over the vampiric form increases, gain access to a custom taijutsu D-C rank while in vampiric form. 5o%: May assume Vampiric Form Rank 2. 6o%: Mastery over the vampiric form Increases further, gain access to custom Doujutsu C-B rank while in the Vampiric Form Rank 2. 7o%: Hearing heightens to a inhumane level. (Or one effect of the Vampiric Form Rank 1 turns constant making it harder to hide, but giving a constant benefit) Fangs elongate more and can now pierce thin metal. 10 points to distribute among stats. 8o%: Mastery over the vampiric form increases again, gain access to custom ninjutsu B-A rank while in Vampiric form. 9o%: Your fangs can bite through thick layers of metal without breaking, drinking Chakra can heal you wounds and refresh your stamina at a slow rate. 10 Stamina gained per post that the bite is active. 1oo%: Mastery over the vampiric form peaks, can assume Master Vampiric Form. Vampiric Form Rank 1's effects are continuously active, even in while the curse is dormant and they are in human form, this includes negative effects. Vampiric form Rank 1: The chakra eater assumes a new form that enhances abilities. 50 points to distribute among stats. Stamina and Chakra amounts increase by 100 points each. User suffers constant chakra drain while in the form per post, 25 chakra during the day, 15 chakra at night. (Note: extra Stats, Chakra and Stamina are only present while in the Vampiric Form.) Visibly, the chakra eater’s eyes change color, the ears elongate and become pointed, the skin pales, and the fingers elongate and turn pointed. The canine teeth turn into fangs. Their arms, torso, and neck are covered in a long straight lines that continue down and up to the wrists, chin, and waist. Vampiric form Rank 2: The Chakra Eater assumes an enhanced form of the Vampiric Form Rank 1 with further enhanced abilities. 75 points to distribute among stats, Stamina and Chakra amount increase by 150 each. User suffers constant chakra drain while in the form per post, 20 chakra during the day, 10 chakra at night. Visibly, the Chakra Eater’s eyes now glow in addition to changing color, the ears become more sharply pointed, the skin pales further, the fingers and toes become actual pointed claws. The marks disappear. Master Vampiric form: The Chakra Eater assumes the pinnacle of vampiric forms and gains the enhanced abilities that come along with it. 100 points to distribute among stats. Stamina and Chakra amounts increase by 200 each. User suffers constant chakra and stamina drain per post at 50 points during the day, and 25 at night (Note: this will stack with the now constant stats provided by Vampiric form rank 1). Visibly, the Chakra Eater’s limbs elongate, the claws at the ends of the fingers and toes become more pronounced, the skin turns grey pale, and a large pair of wings sprout from the eater’s back enabling flight. Personality: Osamu is hard-headed and brazen. However he has a good head set about his shoulders, and generally takes things with a wise course of action. He firmly believes in action over words, however, and will not hesitate to do what he thinks is right. He can be snide and snarky, and is generally arrogant about his strength. He likes to assert himself over others, but still attempts to be respectful. As contradictory as that sounds. He is a hard teacher, and prefers showing through force, if he can. History: Right from the beginning, Osamu was hard-working and talented. Early on he showed a proclivity for the Raiton style. In the Chuunin exams, he became especially adept at using lightning-style jutsu. Just before he was christened a Chuunin, he came up with his own Lightning technique: Lightning-style: Shock Sword. Concentrated electricity, held within the hand, and used as a bladed weapon. The heat from this attack was used to cut and slice. Osamu basically made a name for himself from this particular technique, and it remains his signature move ever since. Specialty Description: Animus-Nins specialize in infusing their chakra into the surrounding area and animating it. This animation can carry out complex commands, as it is an extension of the ninja's will rather than a servant such as a golem;. While many techniques involve infusing one's chakra into things (such as the wood of a tree in order to climb it), an Animus-Nin does so with greater efficiency. The same amount of chakra a normal ninja might use to climb up a tree, an Animus-Nin could use to animate the surrounding vines and strangle their enemies. However, especially at low proficiencies, the animations of the ninja are only as powerful as they would be normally. Improving the strength and speed of animated terrain is a difficult skill to master. The initial animation costs 50 chakra. The spread of the animation moves 80ft per post. -Animus-Nins are very good at fighting their enemies from any range without risking actual bodily harm. -Depending on the terrain, an Animus-Nin may never run out of weapons. -Totally flat terrain or terrain already infused with another's chakra is much harder to animate, meaning Animus-Nins are often at great disadvantages in areas such as temples. Specialty Requirements: 1500 words to obtain rank of Animus. oo%: You can animate the amount of terrain you cover move in one post, but can only animate terrain with loose objects such as boxes, wires, vines, etc. 1o%: Adds an additional 10 ft to amount of terrain controllable, animated terrain gets an additional +1 to all stats. 6o%: Add your stats to those of the Terrain in addition to the other pluses provided by the gauge. Description: An Animus-Nin first restrains their opponent within the grasp of the animated terrain. The terrain then begins sucking out the opponents Chakrs to feed it's animation and replenish the Animus-Nin's Chakra. Effect: This technique causes the animated terrain to begin draining chakra from anything touching them. If nothing with chakra is currently touching them, then they will drain from the Animus-Nin animating until this technique is disengaged, or the terrain catches something. In terms of raw stats, If the Animus-Nin lands this attack successfully, then it costs only 50 chakra However, if she attempts to drain chakra on an enemy that escapes or is not yet captured, it will instantly drain another 50 chakra, and drain an additional 10 for every post it is active without having an enemy to drain. The chakra drain covers the animated terrain at a speed of 50ft per post, meaning it is possible for those ensnared on the outer edges of the terrain to escape before the draining effect reaches them. Damage: 50 points of chakra damage initially, then an additional 5 the opponent is ensnared. Range: The Animated Terrain's entire surface and reach. Length: Five posts, or until the Animus-Nin dismisses it. Drain: Immediately costs 50 Chakra to activate. If the user does not have anything ensnared in the terrain, 50 plus 10 chakra per post active. -If you have a bloodline, this replaces your current bloodline and you loose your original bloodline abilities. 3o%: Chakra control increases, fangs elongate and sharpen to where they can now pierce leather. 7o%: Hearing heightens to a inhumane level. (Or one effect of the Vampiric Form Rank 1 turns constant making it harder to hide, but giving a constant benefit) Fangs elongate more and can now pierce thin metal. Also Notebook, you've submitted way too much custom stuff. I don't want to see anymore bloodline, or specialty custom stuff for at least six months from you. The only thing wrong with this is that you can't make custom techniques. Only Legendary NPC are permitted custom techniques (Hijutsu) so just change that one thing and it's accepted. Animated how exactly? I can't exactly tell what you're aiming for with this. You want to animate a terrain, but exactly how are you animating it? Rework this and elaborate on it. Specialty Description: Animus-nins acts as specialized wardens of individual environments, seeing to it that the environments stay unharmed and enemies of their nation cannot use them as staging grounds for war. -Outside their chosen terrain, many of the Animus-Nin's abilities cease to function. -The power level of their animation only goes so far, meaning after a certain level many foes will outclass it. Specialty Requirements: 1500 words to obtain rank of Animus, Rank of Genin. Effect: A large amount of the terrain around the User comes to live, quickly grappling and entangling any enemies within it, while defends the user from any attacks. Length: Five Posts or until dismissed. Range: 70% of the user's speed in one post. Chakra Drain: 50 chakra upon activation. Requirements: Animus-Nin Specialization, Chosen Terrain, and user must be on chosen terrain. Effect: Gives the animated terrain the ability to deal damage to the enemy. Also allows the user to burn an additional 5 chakra per post to keep the animation going after it's standard five rounds until they choose to dismisses it, or run out of chakra. For the purposes of determining hit or miss, the animated terrain as the following stats. Animated terrain cannot use jutsu's. Length: infinite, until dismissed or zero chakra. Range: Area if animated terrain. Requirements: Animation Entanglement, Chosen Terrain, and user just be on chosen terrain. Effect: Firstly, getting this jutsu adds an additional 20 ft to the total anima table terrain, and allows you to burn 5 chakra per post for every additional 10 ft of controllable terrain on top of that. Secondly, this allows the animated terrain to perform complex tasks, such as lock picking or basic medical treatment, provided the user can observe the activity. Academy level jutsu's such as the lock picking jutsu and medical jutsu can be performed by animated terrain. Length: infinite, until dismissed or user runs out of chakra. Range: Area of animated terrain. Chakra Drain: (5 x number of additional 10 ft added) per post. Requirement: Chosen Terrain, Animated Entanglement, and user must be on chosen terrain. Effect: The animated terrain forms a defensive dome around the user, and will move the user within the dome to avoid attacks capable of piercing the dome. In addition, flowers will form atop the plants that allow the user to see out from within the dome. Length: Until either the dome or terrain is dismissed. Range: Within the animated terrain. Chakra Drain: 10 per post active. Effect: Tendrils of the user's chakra nature can be used in place of terrain. Terrain is otherwise the same. This ability works outside the User's chosen terrain. Allow the user to use all animation abilities that require the user to be on their chosen terrain even if they aren't in their chosen terrain. If a source of their element is not nearby, using Animation Entanglement costs an additional 50 chakra. Chakra Cost: 50, if element matching chakra nature is not nearby. Requirements: Animation Entanglement, Chosen Terrain. Effect: Animals not controlled by an outside force will not attack or disturb you, even if you are asleep or otherwise helpless. By activating the second stage if this jutsu, you can convince them to assist you, though you cannot speak to or fully understand them directly as some clans can, and you cannot convince animals controlled by an outside force. Animals will wait a minimum of two weeks after your body, then burry anything that remains. This functions regardless of where the Animus-Nin is! When this ability is used, the entanglement will always radiate outwards from the source of the element. This doesn't matter much with Earth and Wind, but if for example the source is a campfire or bird bathe, it can severely limit the user. Range: Within hearing and sight of the user. Description: An Animus-Nin first restrains their opponent within the grasp of Animation Entanglement. The animation then begins sucking out the opponents Chakra to feed it's animation and replenish the Animus-Nin's Chakra. Appearance: Gurin is a rather skinny, pale women in her mid-twenties with long, meadow green hair and dark forest green eyes to accommodate her themes. She wears a sleeveless black shirt and has bandages wrapped from her shoulders to the tips of her fingers. She has a long battle skirt which lets her allows her flexibility. However like her other team members from her genin days she is missing something particularly important, a strong body, she is physically frail, despite being able to throw a strong punch. [X Blank] In her exterior Gurin seems like a heartless, 'Doesn't care for anything' type of person. Most will, at first, view her as cold, distant, and unwilling to socialize. In all honesty, she is actually one of few who genuinely cares about everything that happens to her or those she's close to. [X Killer] Mercy isn't in her dictionary when it comes to a fight. Rather she lacks the word all together. She shows deep admiration for her opponents and even may have what she considers a friendship with them, however these emotions won't choke her. She has no leash in warfare, as leashes get you killed. [X No Jokes] Gurin lacks a sense of humor. As such she can be hard to be around as she is overly serious about her tasks at hand and is quick to take an overly precautious behavior because she may take a sarcastic comment seriously. History: Gurin growing up was a study bug. She had no desire to socialize, or to figure out emotions. She only wanted to sit in front of a scroll or book learning a new jutsu. She studied hard and constantly trained being named a genius for quickly growing into a genin at age ten. She was trained by the Sensei Sasuri Moi, a taijutsu and kenjutsu Ninja known for his use of unique knee and elbow based moves, and his ‘Reverse Fangs’, blades that were long and curved along the back of his arm and down past his elbows. Along with Mamori Kazaku and Warashi Vorcede. There they lead an uneventful time as genin and quickly joined the ranks of chunin. There, they have been stuck for years as they are not seen as material for jonin due to her physical restrictions. You could, still doesn't change you need to take the custom technique out of his bio though. [X No Jokes] Gurin lacks a sense of humor. As such she can be hard to be around as she is overly serious about her tasks at hand and is quick to take an overly precautions behavior because she may take a sarcastic comment seriously. while the character itself is not a problem, your numbers aren't matching up with what I've done, it seems you're short in chakra by 100 and short in stamina by 100 and 7 points in over all stat distribution. Seems like you forgot to add the beginning 100 stamin and 100 chakra and 7 points to distribute that all new characters get. Also this is a chuunin npc, they can't have more than 10 jutsus. you're at 23, get rid of 13.
until this happen the npc is not accepted. Effect: Firstly, getting this jutsu adds an additional 20 ft to the total anima table terrain, and allows you to burn 150 chakra per post for every additional 10 ft of controllable terrain on top of that. Chakra Drain: 150 added per 10ft per post. History: Right from the beginning, Osamu was hard-working and talented. Early on he showed a proclivity for the Raiton style. In the Chuunin exams, he became especially adept at using lightning-style jutsu. 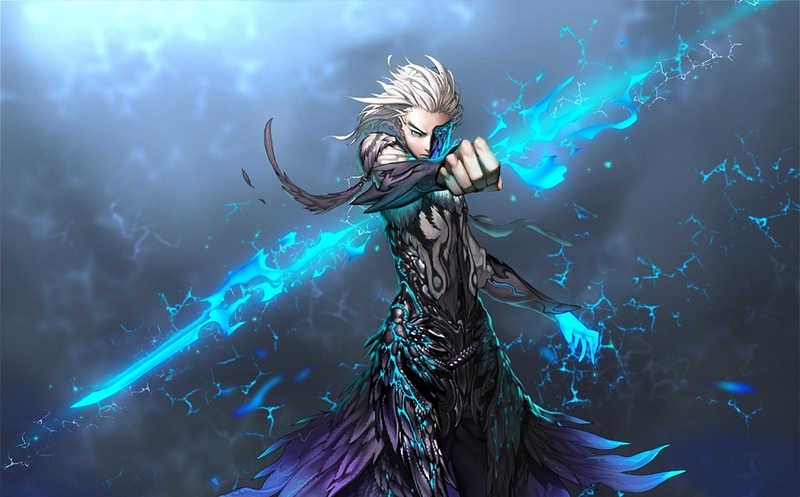 Just before he was christened a Chuunin, he came up with his own Lightning technique: Lightning-style: Shock Sword. Or so he claims. Concentrated electricity, held within the hand, and used as a bladed weapon. The heat from this attack was used to cut and slice. Again -so he claims. Ever since Osamu has more or less been called "Lightning Blade: Osamu". Though it was he who originally started up that particular title. His claims for his technique are unsubstantiated and a tad on the wild side. He refuses to prove whether or not he is lying or telling the truth. He says it will be his "actions that will reveal the truth!" Hows that? Does that work? Hurray! Thanks (sorry for useless comment ), I just got excited! Description: By sending chakra down to the bottom of their shoes the user can create a flat mobile platform to move about on without being affected by their actual terrain, akin to floating just off the surface of the ground. By using slight tilting movements and sheer momentum the user can move around in spinning movement until they become incapacitated or stop their movement. Effect: Ability to spin without disturbance of terrain. Damage: None, unless the user tries attacking with a weapon to correspond with the spinning, that damage is to be counted if its the case. Notes: Incapacitation occurs after 8 posts of continuous spinning. Range: None, unless a weapon is present or combined with a waltz. Length: As long as the user has stamina to drain. Damage: None, unless the user tries attacking with a weapon to correspond with the spinning, that damage is to be counted if its the case. Notes: Incapacitation occurs after 8 posts of continuous spinning. Range: None, unless a weapon is present or combined with a waltz. Length: As long as the user has stamina to drain. Drain: 25 Stamina per post and 100 chakra per post.